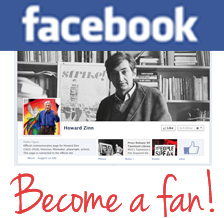 Howard Zinn has been a pivotal figure in the American Left for decades. As an activist and writer, he has influenced generations of leftists and helped encourage a strong commitment to direct democracy, anti-racism, and grassroots action. We asked Zinn about the current changes in the political environment, his theoretical commitments, and some of the challenges faced by radical intellectuals. This interview was conducted by e-mail in the spring of 2003. How would you define the “War on Terrorism”? What kind of war is this and whom is it directed against? The notion of a “War on Terrorism” makes no sense. You cannot make war on terrorism: it is an ideology that springs from many sources and one that can be located in many countries. The terrorism of September 11th was real, but the United States is using it as an excuse to first bomb Afghanistan, now Iraq, and to expand American power in the Middle East. So, the “War on Terrorism” is just a cover to perpetuate US global hegemony? Exactly. It is also a way to cover up the failure to solve domestic problems and build support for a President who got into office through a political coup and needs to show he has a mandate he doesn’t deserve. Today there is all sorts of talk of war: the “War on Terrorism” and the war on Iraq and a possible war with North Korea. At the same time the economy is in trouble, unemployment is up, and local governments are cutting back education, health care, and other social services. Have we seen this dynamic before in history and how can radicals draw out the connections between the two? War against an enemy abroad is always simultaneously a war against people at home, because war always draws the resources of the nation into military activity. One reason why there were Black uprisings during the Vietnam War was that the needs of the ghettos were neglected in order to carry on the war in Vietnam. How to draw the connections? Simply point out how much money is going to the military and what human services are being diminished. For example, just the other day, along with stories of the increased military budget there was a story about the Bush administration taking money away from the school lunch program. But in the 1960s the Johnson Administration, while pursuing the War in Indochina, tried to placate the population with a simultaneous War on Poverty and Great Society programs. How is today different than that period? Clearly, Bush is not trying to placate the population, but he is trying to placate his corporate supporters who will benefit hugely from military contracts and from his tax program. Also, Johnson was respond-ing to powerful social movements which were demanding reform: the Civil Rights Movement; the Black Uprisings in the cities (such as Watts 1965). Bush faces no such popular upsurge. What would you say to those who believe the US government, if not directly involved in the attacks of September 11th, at the very least let them happen in order to justify everything that has happened since? What is it about conspiracy theories that captivates the imagination of people on the left and right so much? It’s always intriguing to talk about conspiracies. But it’s a diversion from real issues. They are attractive because they simplify problems and enable people to focus on a handful of people instead of on complex causes. What is your assessment of the anti-war movement, particularly its more radical wing? Drawing from your study of history, what advice would you have for today’s radical activists and thinkers? Don’t get involved in internal squabbling, concentrate on what unifies you, allow different groups to pursue the common anti-war agenda in their own way. But concentrate on fundamental principles: war is terrorism, war is always a war against children. War always has unpredictable consequences. Certainly ANSWER is one of the most important groups in the anti-war movement. This group has been criticized for its link to the authoritarian Communist group, the Workers’ World Party. Do you think such criticisms are important and do you believe that ANSWER’s link to this group is a problem? I don’t believe in setting political tests for a broad-based movement that is centered on one issue, like ending the war. The labor movement at its best, in the 1930s did not worry that Communists led some of the organizing drives. The Lawrence textile strikers of 1912 weren’t bothered by the IWW organizers who came in and led them to a successful strike. The Civil Rights movement did not respond to red-bating. My own attitude is: if there is a demonstration against the war, and I believe in the goal of ending a war, I won’t ask who organized the demonstration. You march with people who have signs representing many different groups and ideologies but you are all there for the same purpose, stopping the war. I distrust the sincerity of people who peck away at broad-based movements by pointing to organizers or participants who have special political positions. So do you believe that it has been a mistake for groups on the left—from Z Magazine writers, to Nation writers, to anarchists—to criticize ANSWER? Yes. We should not give political tests to people who do good organizing work. A broad movement must include all sorts of groups, including anarchists. Regardless of our opposition to the US government, al Qaida does not distinguish between our ruling class and ordinary citizens. Certainly US policy in the Middle East contributed to the birth of al Qaida: the US provided direct support for bin Laden and other Islamic fundamentalists fighting the Soviet Union, not to mention other policy initiatives, such as uncritical support and funding for the repressive policies of Israel and the stationing of US troops in Saudi Arabia. Yet now we are all potential targets in al Qaida’s campaign against the United States. What is the best way to address this problem? Yes, the terrorists don’t discriminate between leaders and ordinary people. One thing we must make clear: we will not be guilty of the same thing. Therefore we will only direct our anger at the terrorists themselves, and at no one else. As for addressing terrorism, it means looking at its roots, the grievances behind that, and if those grievances are legitimate, act to relieve them. The emergence of the anti-globalization movement was one of the most exciting developments in recent years (which you celebrated in your essay, “Seattle: A Flash of the Possible”). However, this movement has largely disappeared from the political stage in the US since the terror attacks of September 11th. Do you think there is something about the movement that makes it particularly vulnerable to the post-September 11th changes in the political environment? Also, do you believe that the anti-globalization movement will be renewed or has its moment passed? I do believe the anti-globalization movement, while given a temporary setback after September 11th, is coming to life again. The Port Alegre meeting recently is one sign. Do you think that there is a possibility that the anti-war movement could contribute to the revival of the anti-globalization movement? Yes, by energizing people. There is a long history of one movement stimulating other movements. For example, the anti-slavery movement stimulated the feminist movement and the Civil Rights movement, which lead into the anti-Vietnam War movement and also the Feminist and Gay Rights movements. You describe a constant struggle between the powerful and the powerless in the People’s History of the United States. This struggle takes place in different historical contexts and is carried out by different actors, but the struggle itself is continuous. A precept of the classical revolutionary perspective is that one day this struggle will come to an end, that there will be a qualitative change in social relationships and the division between the powerful and powerless will disappear. Do you believe this change can occur and, if so, how is this idea reflected into your historical work? I do believe this change can occur but it will not happen “one day” or in one cataclysmic moment. It will happen over time as people, little by little, take over the institutions of society—the economy, the universities, the neighborhoods—and run them democratically. But traditionally the Left has embraced the idea of revolution (in which sweeping historical changes take place in a relatively short period of time). Do you reject the idea of revolution? Or, if not, how do you conceive of it? I don’t reject the idea of revolution, but I reject the idea of armed struggle, or a military action to achieve it. The revolution must be democratic in means as well as in ends, and this requires building mass support for change by long, persistent struggle. Your work seems to be motivated by the idea that people will change society if they are simply presented with the facts of social injustice. However, countless authors before you have presented “the facts” and yet deep social conflicts endure. What is it about your presentation of the facts that is unique and how would you respond to those who argue that our problem lay not in the absence of facts but in the absence of theoretical frameworks with which to comprehend the facts? No, presentation of facts is not enough. People must then act on those facts. I don’t think theoretical frameworks are necessary, that is, not necessarily spelled out. People, given enough information, themselves supply a theoretical framework, which may not be put into language, but which informs their thinking and their action. Your historical work has focused on the capacity of ordinary people to band together, fight for justice, and change society. However, you have written very little about the frameworks that leftists have used to understand and theorize opposition, such as Marxist-Leninism, social democracy, anarchism, etc. Why is this? Is not reclaiming such a political vocabulary an essential part of rebuilding a democratic culture? I don’t see much point in abstract theorizing, or getting into arguments about Marxism, Leninism, etc. When the issue comes up I try to deal with it. For instance, I don’t make a big fuss over anarchism, but when it is brought up in a distorted way I try to show what the distortions are. It is possible to get across anarchist ideas, socialist ideas, without using abstract words that have different meanings for different people. OK, but the idea of a free or just society is abstract. And certainly the Left has been shaped by abstract theoretical works, such as Marx’s Capital, Kropotkin’s Mutual Aid, or countless other works. Do you believe that such theoretical inquiry has been a waste of time or do you believe that the moment for such works has passed? Theoretical analyses are useful but not crucial. There is a lot of wasted time in such endeavors, but not all is wasted. Marx’s Communist Manifesto was a theoretical analysis, immensely useful and inspiring. His first volume of Das Kapital was useful too. His second and third volumes, and his Grundrisse, were probably a waste of time! You have consistently urged people to place moral considerations at the center of their engagement with society, to “not be neutral on a moving train” (to cite the title of your autobiography). The idea that people’s political practice should be shaped primarily by moral concerns is radical break from classical revolutionary theories, such as Marxism or anarcho-syndicalism, which understand politics as something determined by or subsumed under socio-economic contra-dictions. Do you believe that it is necessary to break with the older traditions of revolutionary thought and, if so, how? Yes, socio-economic contradictions are basic, but behind any analysis of them must be a set of moral values—otherwise you can analyze the society endlessly and not come to conclusions about what to do. Do you regard this position as a break with the classical socialist or anarchist tradition? And, if so, why is it important to make such a break? No, I don’t consider it a break from the classical traditions, because there was always a moral principle behind the most academic of radical analyses. OK, while a moral principle may have been implicit in the classical traditions, isn’t it true that communists and anarcho-syndicalists argued that “being determined conscious-ness” and disagreed that it was possible to advance a moral position that was somehow independent of or above “the development of class contradictions.” If this is true, isn’t your position a significant break with the tradition? Yes, although I think there has been some distortion of the Marxist position and anarcho-syndicalist position on this or, to put it another way, that there are several Marxist positions and several anarchist positions. What recent developments in the study of social history do you find particularly exciting and amenable to a radical approach to social affairs and what tendencies do you find especially troublesome? The recent developments in the study of social history which are important to me are the burgeoning of literature about social movements—the women’s movement, the labor movement, the African American and Chicano movements, the gay and lesbian movement. I only find troublesome those studies which are overly specialized, academic, designed to reach a small number of scholars without any connection to action. In several works you note that your encounter with anarchism (Emma Goldman in particular) only occurred after your period of intense activism in the anti-war movement. You discovered that although the term anarchism wasn’t used, there were many connections between anarchism and the New Left (such as the emphasis on decentralization, direct action, sexual liberation, etc.). Your experience seems to be common among leftists who came of age politically during the 1960s. What was it about the political culture of the New Left that discouraged people from discovering and investigating such an important tradition and one that was so close to their views? Why do you believe that so many activists turned to Marxism-Leninism and Maoism rather than anarchism? What was it about authoritarian ideologies that made them attractive and anti-authoritarian ideas less attractive, in those days? Some activists turned to Marxism-Leninism and Maoism. Most did not. Most continued to act out the principles of anarchism without adopting it in a conscious way as a coherent philosophy. Anti-authoritarian ideas dominated the movement of the sixties, and the authoritarians were a small, loud minority. While many practices may have been anti-authoritarian, certainly a significant number of activists defined themselves through an authoritarian socialist ideological framework. This is true of the late SDS, the Black Panthers, and countless other groups. What was it about authoritarian ideologies that made them attractive, and anti-authoritarian ideas less attractive, in those days? I doubt that it was the authoritarianism that was attractive—it was the other attributes, such as the boldness, the militancy—but people accepted the authoritarianism along with that, just as Communists accepted Stalinism for a long time, not because they believed in authoritarianism as such but because it came along with certain social changes. Why do you think activists during this period did not gravitate toward an anarchist or anti-authoritarian tradition if, in fact, it was more consistent with their activities? Because most activists are concentrated on the moment and don’t see what they’re doing as part of long-term theories or traditions. How would you describe yourself politically? Do you consider yourself an anarchist or a libertarian socialist? Something of an anarchist, something of a socialist. Maybe a democratic socialist. This seems contradictory. Could you explain? I see no contradiction. Look at Alexander Berkman’s pamphlet, Communist Anarchism. Anarchists and radicals are very good at criticizing society and the state, as well as advocating a vision of a different, better world. Yet the question of how to get from our current society to a free society is often unanswered. What is your perspective on questions of strategy for the Left? How do we create the changes that we want in order to fully realize our vision of a free society? Organization, direct action to liberate different aspects of the society. We can’t have a blueprint, but we can know what we are aiming for, and move in that direction. Since the 1960s many leftist intellectuals have become ensconced in the university and independent theorists (such as Paul Goodman and Dwight McDonald, for example) are now extremely rare. Do you believe this is lamentable and do you think the academic environment has encouraged a more conservative, timid posture among left intellectuals? Certainly, the academic environment is stifling, and often leads leftists into obscure research rather than into activism. But not always. I believe there is no one place for left intellectuals. They can function, and should, both inside and outside the academy. The university tends to draw radical intellectuals into the academic life. But it needn’t do that. Radicals who are in any profession or line of work face the same problem, of maintaining their ideas and activity despite the pull of their profession and their need for economic security. What projects are you working on now and what future projects do you have planned?